Landscape Radio is a new podcast network, featuring long-form conversations with distinguished landscape industry professionals worldwide. 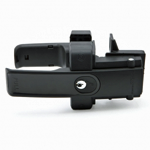 The LockkLatch line, by D&D Technologies, has a model for every gate material and most applications. Whether you need a general-purpose latch for a garden gate or a self-locking version for apartments and commercial properties, LokkLatch is the answer. 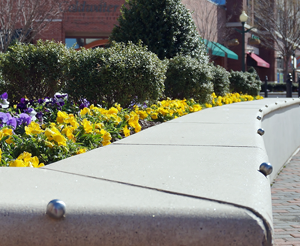 The Brookfield Company's planters are cast of fiber reinforced concrete. This material has great weather resistance, less porosity and greater flexibility than other materials, thus allowing these planters to be used outdoors indefinitely in virtually any climate or location. An applied surface, such as paint, will adhere dependably to Brookfield planters. 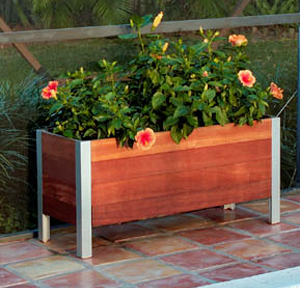 Planters are available in a variety of colors and finishes; many are also available with a textured surface. Allen Ventures heavy-duty recycled plastic picnic tables hold up under the most demanding conditions, and because they're made from recycled materials they are environmentally friendly. No need to paint, stain, or maintain these picnic tables year after year. Allen Ventures has a wide range of models, styles, shapes, sizes, and colors to fit any setting. DRAIN AWAY™ Panel Drain is a prefabricated geocomposite drain consisting of a double-sided formed polystyrene core covered on both sides with a non-woven geotextile and includes a sleeve to insert a perforated pipe. 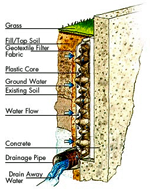 DRAIN AWAY™ Panel Drains utilized on foundations establishes effective drainage and waterproofing of walls eliminating hydrostatic pressure buildup that would eventually penetrate the foundation walls and create a moisture-laden environment. Bollard Solutions' Deco Bollard Sleeve, Metro Bollard Sleeve, and Sloped Bollard Sleeve (¼”polyethylene thermoplastic covers) are a low-cost way to dress up any standard 6 inch steel pipe bollard. These bollard sleeves are designed to last for many years, and never need maintenance. Sequoia Fencing, from Environmental Specialty Products, is incredibly durable, 100% HDPE fence and rail available in embossed-grain pattern and more than ten colors. Attractive for decades, Sequoia Fencing is LEED accredited and resistant to marine borers, termites and fungus. The “North Star” Fountain Aerator, by Scott Aerator, is the perfect addition to any pond or lake when a prestigious appearance is desired, yet water quality is also a concern. The stately appearance of the “North Star” combines a visually appealing water feature with a powerful, vibrant water aerator, which will assist in controlling algae growth and in promoting a healthy aquatic environment. GrinderMinders, from Grind To A Halt, Inc., are a sleek, attractive and extremely durable defense against skateboarding damage. Sunperk Site Furnishings manufactures and supplies durable, elegant and high quality outdoor benches that are specially designed for commercial, industrial and public sectors. A durable outdoor recycled plastic bench can enhance the beauty of any outdoor spaces, from personal garden to business buildings, from shopping centers to public parks. 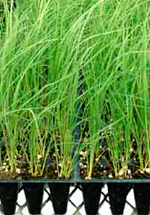 Green Seasons Nursery is a wholesale nursery whose horticulturists specialize in hardy, salt tolerant, coastal species and robust upland shrubs and grasses. We provide horticultural expertise to facilitate the propagation of diverse genus and species intended for re-colonization. Green Seasons Nursery was one of the first to grow sea oats and we are currently the only supplier of a number of coastal species. 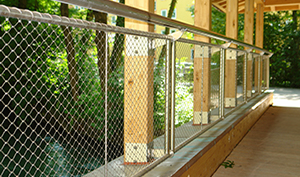 X-TEND® CXS NEO Balustrade Infill Kits from Carl Stahl DécorCable are available in 50’ or 100’ rolls of AISI 316 ss mesh and will accommodate inside railing infill heights of 30.5”to 33” and 37.5” to 41”. 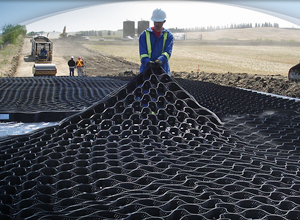 The 1.5mm x 60mm mesh is code compliant and climb resistant. 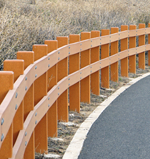 X-TEND® CXS NEO can be installed into any guardrail system. It can be oxidized to a charcoal black matte finish. X-TEND® CXS NEO Balustrade Infill Kits are in stock and ready to ship. Kit includes everything you need for a fast and easy field installation. The only tools required: wire cutters and pliers. 212 Ponce de Leon Blvd. Historic Shed™ was founded by the historic preservation professionals at Preservation Resource, Inc. to meet the needs of historic home owners for affordable and attractive additional space that complements and enhances their historic property. At Historic Shed™, we want every product to demonstrate our commitment to historic preservation principles, craftsmanship and proper use of traditional materials and details. 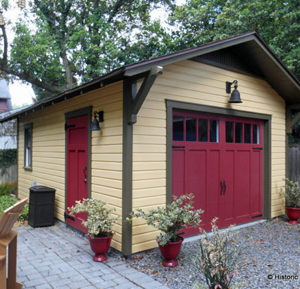 Each Historic Shed™ is designed to meet both your aesthetic and functional requirements. Historic Shed™ produces its products in a controlled manufacturing environment to your specifications, and then delivers and installs the completed product, fully painted, to your site ready for use. A dedicated in-house professional preservation designer customizes each Historic Shed™ to complement any historic building. We pride ourselves on being knowledgeable about traditional details and design. The Gothicstone Collection, one of the most diverse and eclectic collections of the world’s most beautiful travertine, marble, limestone and our "new" Zebstone (Zero Energy Building Stone). Founder, Karl Mangialardi, aka "The Stonehunter" has traveled worldwide for over 22+ years in search of exotic tile and paver products to bring to the US and world markets. The “Stonehunter’s” hottest product, The Gothicstone Paver, is a natural Travertine, Marble, Zebstone or Limestone Paver, quarried, cut and antiqued in the Moroccan mountainside. Conforming to ASTM standards, it is twice the strength of concrete, has a high co-efficient of friction for a non-slip surface and is freeze/thaw compatible in all climates. Complete architectural fit-outs are our specialty; send us your drawings. 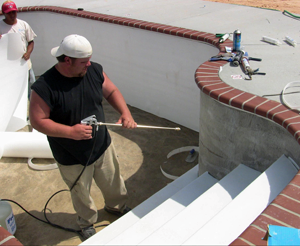 Throughout my more than 30 years in the swimming pool construction industry, I have always searched for unique products that made it easier to get the job done while offering clients the innovative options they deserve. I know my workers also appreciated having tools and products that helped them do their job better. In 2007, I decided to close my construction business and concentrated my time on product development and the marketing of products in the construction industry that you don’t normally find in your local construction supply house. I take pride in showcasing our great product offerings because I know what they can do for you every day on the job. I hope you will give Frank Wall Enterprises, LLC the opportunity to provide you with our proven expertise AND good service. 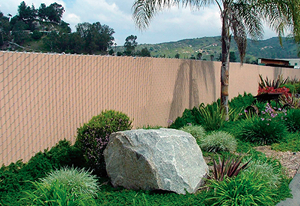 At PrivacyLink®, we have been designing, fabricating and offering well-built fence systems since 1995. We may be among the new kids on the block, but we certainly have built a strong reputation by offering long-term relationships based on trust and integrity. Our decorative privacy fence slats, that can either be woven into the chain link or inserted into previously installed chain link fence, and chain link fence with "pre-woven" privacy slats, are fabricated in our modern facilities in Cache Valley, Utah. We employ skilled craftsmen who take the highest quality raw materials and fabricate or assemble them into our high-quality fence products. As the original developer and leading manufacturer of innovative and quality construction products, Presto Geosystems' name is globally recognized for its eco-friendly solutions for the most demanding soil and water problems within the civil and landscape markets. Our solutions reduce overall project costs and offer high environmental benefit with low environmental impact. Complimentary engineering project analyses highlight our solutions-focused approach and commitment to supporting our customer's needs. Presto Geosystems has developed many innovative products and construction devices to enhance aesthetics, improve performance and reduce cost. Best Pro Lighting is a manufacturer and distributor of high quality low voltage landscape lighting products at low market prices. We are certified professionals, with over 20 years of experience as electrical contractors, and know the products we manufacture and sell. Best Pro Lighting's online store has everything you need to complete a professional looking landscape design, including directional lights, bullet lights, flood lights, path lights, area lights, well lights and step lights. We also stock replacement bulbs, low voltage stainless steel transformers with multi-tap photo cells and timers, and a host of additional accessories. All products featured are In stock for fast same day shipping. Best Pro Lighting offers a lifetime warranty on our stainless steel transformers and a five year warranty on our low voltage landscape lights. 11800 E. Nine Mile Rd. 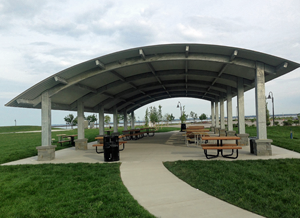 As a division of Ross & Barr, Inc., Coverworx Recreational Architecture provides quality prefabricated structures to customers across the country. Since 1987 we have produced quality structures from a variety of materials, including metal, wood, glass and fabric, to meet the needs of any customer. Coupled with the extensive experience of our employees, Coverworx delivers unmatched design capabilities and unlimited options to our customers, allowing us to meet the challenges presented by even the most complex concepts. Our catalog of products and services that spans standard structures, solar lighting and nationwide installation sets Coverworx, not just apart from, but ahead of the rest! 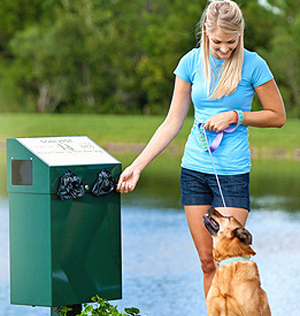 Thank you for your interest in DOGIPOT®, the market leader in dog waste removal systems! We supply the largest selection of environmentally-conscious and aesthetically-pleasing products to help keep public parks, private communities, apartment and condominium complexes, trails, campgrounds, RV parks, hotels and resorts, marinas, airports, highway rest stops, dog parks, and all other dog-friendly areas, free from the unsightly, smelly and harmful nuisance of dog pollution. DOGIPOT® products provide a very economical and practical method to encourage dog owners, rather than maintenance staff, to assume the responsibility for dog pollution. The concept is simple. Install DOGIPOT® DOGVALET®, Pet Stations and or Junior Bag Dispensers in conspicuous spots in your popular dog-friendly areas to ensure the maximum usage and effectiveness of the system. Instructions on how to use the DOGIPOT® concept are posted on top of each bag dispenser to keep the system self-explanatory. 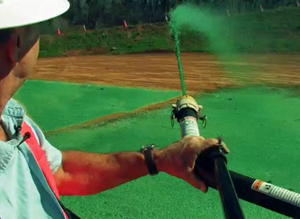 HydroStraw, LLC is a customer oriented erosion control products and hydroseeding mulch company, providing the latest in innovative erosion control technologies. HydroStraw, LLC is dedicated to helping our customers use our cutting edge erosion control products, technologies, services and technical expertise to meet their individual erosion control needs in a cost-effective manner. HydroStraw, LLC provides comprehensive recommendations on product selection, application rates and specifications for our customer’s projects. Our full-service, value-added approach ensures that our customers receive solutions that conform to their specific project requirements every time. The classic antique beauty of Old Carolina Brick is created by hand. 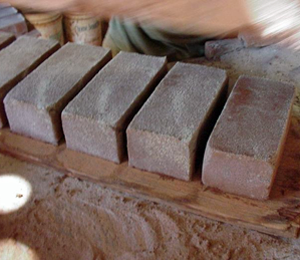 Each brick is hand moulded in the colonial tradition of craftsmanship and lasting beauty. Used on historical restorations in Williamsburg, Monticello, Mount Vernon and Montpelier, Old Carolina Brick add a unique warmth and flavor of history to any architectural design. Based on our commitment to quality and authenticity, Old Carolina Brick are each hand moulded and then fired with coal to provide the beautiful bisques, hues, and unique colors identical to those of brick made centuries ago. Our hand crafting process imparts distinctive folds, finger marks, and particular surface irregularities for individual characterization of each brick. Old Carolina handmade brick provide a unique appearance unequalled by conventional mass produced brick. Got Shade offers quality service with amazing results. Got Shade provides a complete hassle free, turnkey approach to your project. The design, fabrication and installation are all performed in house and locally made here in the USA. 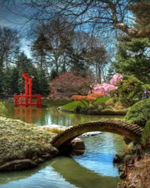 We welcome architects, landscape architects and designers. We work on commercial and residential projects. 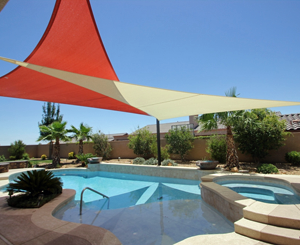 Got Shade's shade sails provide 90-98% ultra-violet and shade protection. Got Shade's outdoor shades will lower the ambient air temperature reducing your property's cooling cost and energy consumption. With the right design Got Shade's shade sails will pay for themselves over time and allow you to enjoy the comfortable outdoors all throughout the year. Got Shade's coverage area is Southern California, Arizona and Las Vegas. J.R. Hoe and Sons is a U.S. manufacturer of quality cast iron and fabricated metal products. 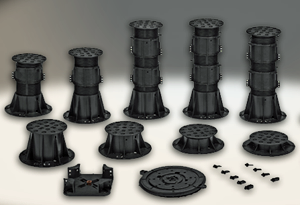 Our line of streetscape products includes downspout boots, bollards, and architectural trench grates. We specifically promote our streetscape products via DownspoutBoots.com and BollardsUSA.com. 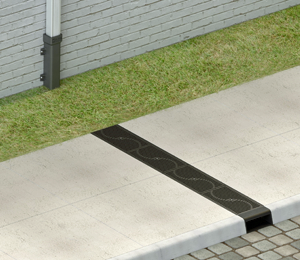 The image at left is of a downspout boot discharging into a sidewalk drain with a custom architectural trench grate. Sidewalk drains are used with downspout boots to ensure well-drained pedestrian surfaces and effective downspout drainage. The rollover image features a cast iron channel frame trench drain that combines sleek design with the timeless aesthetic appeal of cast iron. Trench drains are a linear drainage feature used for the evacuation of storm water runoff from paved areas such and parking lots and commercial developments. 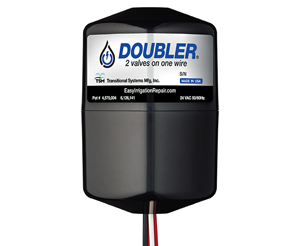 Are you looking for a better way to repair your sprinkler irrigation systems? Well, there are five. And you just found them!! For over 25 years, Transitional Systems Mfg., Inc.'s irrigation repair products have been proving themselves time and time again. From repairing broken valve wires to adding stations to your controller, we can help you get your sprinkler irrigation systems repaired and back up and running fast! We appreciate what it means for you to trust a product enough to take the time to install it. That's why we take the time and make the effort to ensure that each product is built to our highest standards. Each one of our products is built with the utmost care and every single unit is tested before it leaves our facility so that we can be sure it works the first time…and every time. The Belden Brick Company traces its roots to the Diebold Fire Brick Company organized in Canton, Ohio in 1885 by Henry S. Belden and four associates. The Belden Brick Company owns and operates six plants in Tuscarawas County, employs approximately 500 people and has an annual production capacity of nearly 250 million standard brick equivalent. Whether your project includes a brick patio, walkway, driveway, or even an entire streetscape, we have a wide variety of clay pavers that suit needs from residential paving to high strength industrial and commercial applications. 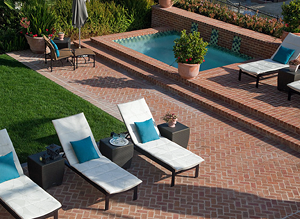 Clay brick pavers exceed concrete pavers in durability, color selection, and they remain colorfast for generations. At Adventure Playground Systems, we believe that outdoor playgrounds should be viewed as interactive social and learning centers, where children can expand their horizons by developing their cognitive, imaginative and motor skills. Adventure Playground Systems offers designs that will challenge your children and keep their interests high. 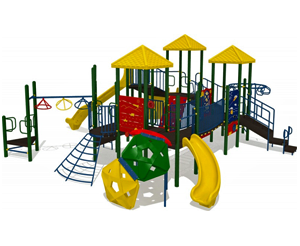 We help you select the play structure that best fits your school, company or community's needs. All designing and manufacturing processes are thoroughly observed by our CPSI certified design team to meet or exceed all industry standards set by ASTM and CPSC guidelines. Give us a call today to find out more about our aesthetically clean, clamp-free designs. After all, putting adventure into playgrounds is what we are all about. Nova Sports U.S.A.® is dedicated to manufacturing the highest quality All-Weather tennis court surfaces in the world. 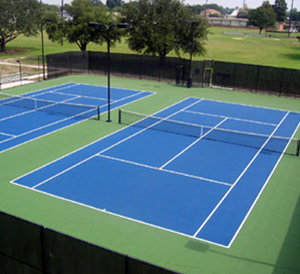 Novacrylic® tennis court surfaces are 100% premium acrylic, all of our surfaces are 100% environmentally friendly. Novacrylic® tennis court surfaces are available in a full range of All-Weather surface systems. Starting from a standard 2 coat Novacrylic® tennis court surface to the ultimate Nova Ultracushion® tennis court surface, Novacrylic® tennis court surfaces are available in 10 standard colors! Nova Sports U.S.A.® is dedicated to strict quality control and speedy shipment of surfacing products. Nova Sports U.S.A.® also manufactures extra-tough acrylic sports surfacing for playgrounds, basketball surfaces, shuffleboard surfaces, jogging surfaces, and other sports that require a surface that won't mark easily and will stand up to a tougher use. GrinderMinders, from Grind To A Halt, Inc., are solid, stainless steel deterrents that are used to protect hard surfaces of landscape designs in an aesthetically pleasing fashion. When skateboarders, BMX bikers and inline skaters "grind" on surfaces, such as planters, benches and retaining walls, they can potentially damage the surface and often leave behind unsightly marks from wax and boards. For over 10 years, GrinderMinders have been sold internationally to protect property from the unappealing damage left behind from recreational skateboarding, biking, and inline skating. The affordable deterrents help prevent future damage on new properties, stop further harm to existing landscape designs and ultimately save property owners money, all while making the landscape more attractive. DeepStream Designs provides alternative products with a timeless design that are engineered and constructed so that they will endure for generations, reducing the impact on the earth’s resources, and providing the lowest cost of ownership over time. Think of DeepStream Designs' products as a frame for your designs. Large planters for balconies, rooftops pool decks, sidewalk cafes - anywhere you want to create green space. Durable planter liners for pre-built planters. Attractive recycling and waste bins for hotels, offices, multi-family buildings and public spaces prove recycling can be beautiful. Create your own custom hotel fixtures. Use our Anti-Gravity© Frame System to create structures that frame beautiful hardwoods, flowing fabrics, contemporary resins. It's an architectural erector set to build cabanas, kiosks, light boxes, wall dividers, railings, signage . . .what do you want to build? Living walls are striking additions to any indoor or outdoor space. Suite Plants makes beautiful and practical living plant walls that can be custom fit to your needs. 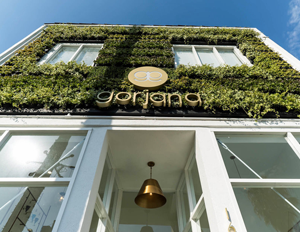 We work with developers, architects, contractors and interiorscapers to design, install and maintain our living wall systems. Suite Plants is a family-owned business based in New York. We rely heavily on our Dutch roots to bring cutting edge European green walls to the North American market. We have more than 250 green walls and over 2,000 of our LivePicture® products installed all across North America. We’d love to help add greenery to your space. Please don’t hesitate to contact us with questions about our products or to discuss your next project. COL-MET is the largest manufacturer of steel landscape edging and galvanized nursery sign holders in the industry. COL-MET offers steel lawn edging and accessories for retail and for landscape contractors, as well as a full line of galvanized steel sign holders for retail garden centers. 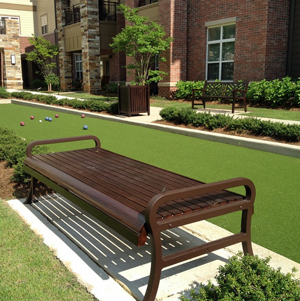 COL-MET offers commercial tree rings and a complete line of edging accessories to help with installation and limitless design opportunities. 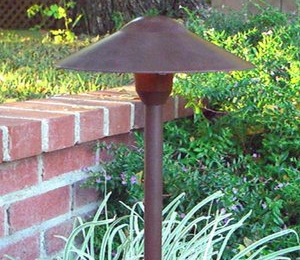 COL-MET products are commonly specified by landscape architects around the country. 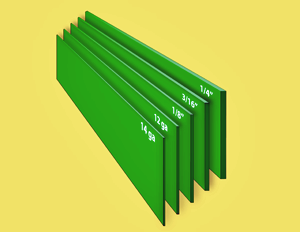 COL-MET Steel Landscape edging products are available in a variety of heights, thicknesses and finishes. COL-MET products can be found throughout the United States as well as Internationally. Wabash Valley offers a large selection of tables, chairs, litter receptacles, planters,umbrellas and more, all available in numerous styles, colors and finishes to fit whatever your need – functional, elegant, eco-friendly, always reliable – without the high price. Under one roof, you’ll find an amazing variety of styles and colors in our three product lines. Wabash Valley, our flagship product line of plastisol-coated outdoor furniture will weather the elements and heavy-use environments where utmost durability is the preeminent criterion. Urbanscape, our high-end line of powder-coated furniture fits perfectly in urban or retail environments. With sleek lines and unexpected designs, Urbanscape gives you a more architectural look that’s built to last. Green Valley is our newest product offering and constructed with PolyTufTM recycled lumber made from post-consumer plastics. This environmentally friendly line offers the look of wood, but without cracking and fading. 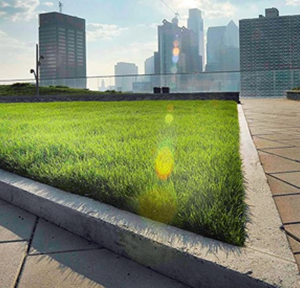 Founded in 2005, Skyland USA, producer of rooflite® soil products, has become known as the premier provider of high-quality green roof media in the industry. With a proven track record, we have provided rooflite® soil for more than 1000 green roof projects across the U.S. and the Americas. Green roof media is all we do at rooflite®. Many companies provide media, but none of them are like us – with a core business of only green roof media. Why does it matter? Because it makes us experts in a way that other companies just can’t be. With our range of rooflite® soil products, our blender network across North America, our experience with complex logistics and our top-notch customer service, there is simply no other company that can offer what we do. And our products speak for themselves with successful green roof projects on vegetated rooftops covering more than 11 million square feet. 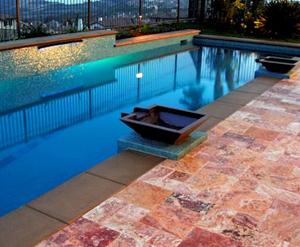 At Summit-USA, Inc., our philosophy is to design and make one of a kind pool slides. For over 20 years we have provided thousands of pool and water slides worldwide. In an era of increased concern for our children's safety, our pool and water slides present a whole different approach to the slide, literally. Our pool slides are designed with safety, strength, and durability that greatly exceed federal guidelines. Performance of our rotational molded polyethylene exceeds all other slide materials. Our pool slides are heavy-duty and make for superior high-end residential slides for in ground pools. Our goal is to work with you and or your pool professional to create the most sensational pool slide. In our 14th year in business (founded in 2004) and with offices in Delray Beach, Florida and Vancouver, British Columbia, GSky® Plant Systems, Inc. is a leading provider of vertical Living Green Walls in North America, Europe, Australia and the Middle East. The company was founded based on the explosive growth of green technology. 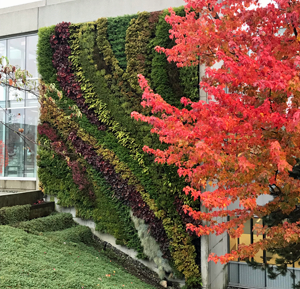 Our green wall systems, engineering knowledge, plant design and selection capability, project management expertise, and follow-up maintenance programs can be applied to meet almost any requirements for both exterior and interior green walls. GSky® Living Green Walls are irrigated by low flow drip emitters on programmable controllers and in many cases can be equipped with recycling components to create an extremely efficient low water usage system. GSky® currently has more than 638 installed or under contract Living Green Walls representing nearly 240,000 square feet in 16 countries. 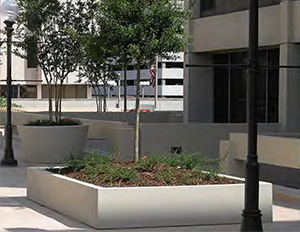 Palmetto Planters manufactures and distributes high-quality fiberglass containers and fiberglass planters to the landscaping design and architectural industry. Every fiberglass planter and container we produce is made to meet our client's specifications. We at Palmetto Planters pride ourselves on providing products that meet or exceed our customers' expectations. Palmetto Planters was founded as a family owned and operated business. The company grew and established its reputation by designing and molding fiberglass containers and planters for architects and designers. Palmetto Planters reputation has been earned by meeting delivery dates and providing the highest quality fiberglass containers and planters at competitive prices. 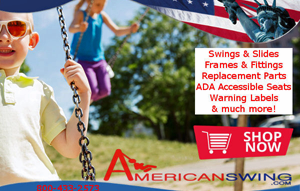 Over twenty years ago, American Swing Products was founded to create high quality swing sets, and playground equipment that are safe for children. Our small business has expanded into a fully functioning commercial playground supplier that services schools, daycare facilities, and public parks, as well as supplying high quality residential products and parts to the individual homeowner. Our manufacturing process is what sets us apart from every other commercial playground supplier. All of our playground equipment and products are tested by National Testing Standards. Since 1987 when Claude Buzon first invented the screwjack pedestal, Buzon Pedestals International has been the leading manufacturer of screwjack pedestals, innovating the product further by collaborating with leading architects, specifiers, designers, and construction professionals. Buzon pedestals have been installed in 35 countries in a broad array of applications for public spaces, commercial and industrial buildings and private residences. Whether you are designing or installing, we hope that you are able to find what you are looking for while visiting us online. Need any help? Please email us at Buzon USA West, LLC today. The successor to a company founded in 1936, Traditional Conctrete, Inc. is located northwest of Milwaukee in Menomonee Falls, WI. We have operated under the present name since 1996. Our service has grown nationwide, with poles installed not only in the Midwest, but also in New York, Pennsylvania, Kentucky, Florida, Alabama, Texas, and California. 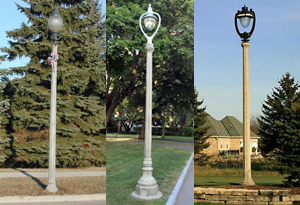 Traditional Concrete, Inc. continues the tradition of providing spun concrete light poles of the highest quality to municipalities, electrical contractors, distributors, and land developers. We offer custom work on any job to meet your needs. We look forward to working with you on your next project! 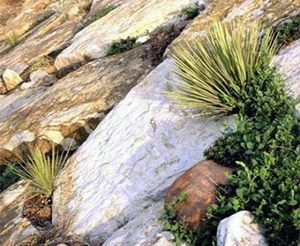 Siloam Stone, Inc. offers a wide range of natural sandstone products from our 640 acre deposit in southern Colorado. From our quarry formation you will notice our Layered Sedimentary Sandstone is very unique and versatile. Siloam Stone is your natural choice for Genuine Stone, high quality Natural Sandstone. 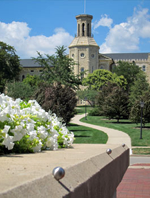 For landscape applications, Siloam Stone has virtually no limitations. We offer flagstone for walkways and patios; thicker stair treads for your entry or stairway. Maybe you need a large sign, bridge slab or landmark to make a monumental statement. We have over 20 thousand tons of product inventory to choose from. The natural earth tone colors of Siloam Stone range from Buff to Grey with burnt sienna, gold, rust, rose, and brown accents.